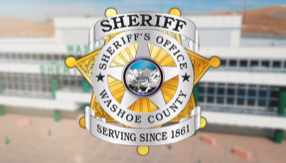 The Research and Development Unit directly supports the Washoe County Sheriff’s Office by coordinating, researching and managing special projects or assignments. The mission of the Unit is: To increase productivity and fiscal management through technology, critical problem solving, and collaboration. Research and Development encompasses the Computer Technology Unit (CTU) which is a combined unit consisting of Sheriff’s personnel and Technology Services personnel dedicated to serving the Sheriff’s Office for all of their technological needs. The CTU is the initial contact point for all computer support issues and serves more than 750 Sheriff's Office users. Additionally, CTU works with various County agencies to provide access to our information, implement multi-agency applications and troubleshoot county-wide technology issues. Research and Development also includes the Crime Analysis Unit which supports the Area Crime Evaluation System (ACES) process. The ACES process was modeled after the Compstat Management program and provides valuable data each week. Through dedication, teamwork, collaboration and innovation, the Research and Development Unit strives toward maximizing the Washoe County Sheriff's Office efficiency and fiscal responsibility.